This example focuses on sending multiple IDOC messages to SAP, all using one Send Port. Often there is a need to limit the number of LOB ports that can be created as it necessitates giving usernames and passwords to multiple people or when password changes there are multiple places to change which can be cumbersome and also error-prone. By having one point of entry to a LOB system (SAP), more control and management can be exerted over the entry points. This approach is especially useful when there are planned outages or maintenance on the LOB systems; there is one place to look from support perspective when something happens. e. Click the … and it will bring up the following screen. ii. This property can be different depending on which WCF end-point you need to send these messages to. After following this procedure, the Orchestration should appear with the following order and similar properties. I have included limited screen shots but you get the idea (naming convention excluded). Now you should see the Orchestration in the following order and similar properties etc…I am putting certain screen shots but you get the idea (naming convention excluded). Now to button up the Orchestration in the following order (not necessary however, it’s a good development practice so nothing is missed). This is passing the incoming message and assigning it to the outgoing message type. Then it is setting the WCF Action and assigning the Namespace value captured before. 5. Drag the Receive Logical Port to the Receive Shape. Sign and set the deployment for the project and deploy. Right Click Project – Deploy. 1. 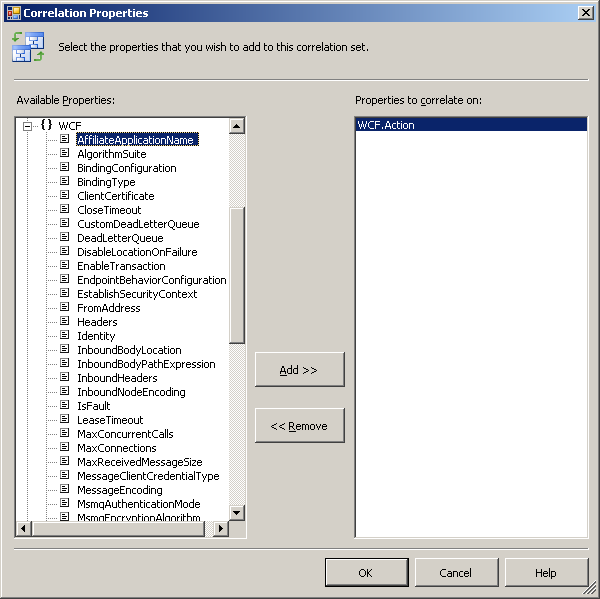 Open BizTalk Administration Console and expand to the application where the Orchestration is deployed. 2. Created a Physical Receive Port to pick up any SAP IDOC XML Files. ** Note the underline text between curly brackets is the environment specific value. e. Under Credentials Tab select the appropriate option and enter the details. Usually there is a user assigned by SAP Team with a password. f. Go back to the General Tab and here is the Fun Part! Pay attention to the text in the second line. By Default this name is “Operation_1” like it adds in Orchestration when you first create it. Until you intentionally change it which you should to make it more tuned to what it is. If this Action element has an value, then it simply overrides the value coming from Orchestration making the orchestration use pretty much useless. The above design pattern can greatly simplify SAP communications with not just BizTalk but with any other WCF compliant product toolset. This is one of the many enhancements and streamlining of processes that the Aidant Technologies team provides through our DI.Platform and Professional Services. How can we help simply your integrations? Contact us to find out. This article covers sending data to SAP. Please subscribe to our newsletter (see signup below) or follow our LinkedIn page to find out for how to simplify receiving data from SAP. Older PostModernize EDI: Is Your Modern Business Running on Outdated Platforms?